3 Pad System - SHIPS FREE! 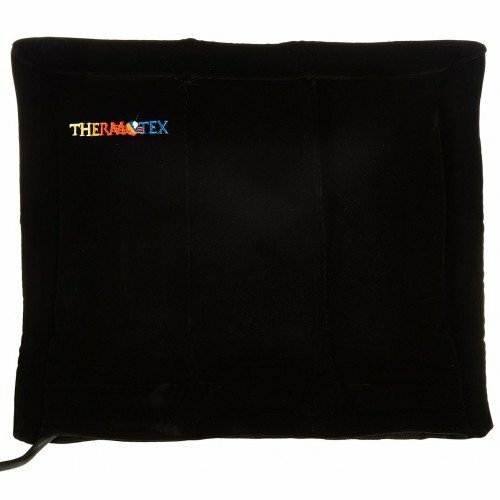 The Thermotex TTS Platinum is the largest personal infrared heating pad by Thermotex. It is the perfect product to help increase overall circulation prior to treatment by doctors as well as to help alleviate pain from workouts, injuries, or general everyday pain. Thermotex Platinum is designed to fit almost anywhere on the body. 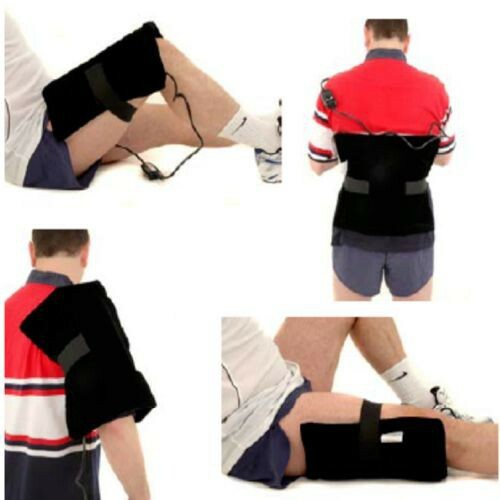 It has three flexible panels joined together to form one unit and fit around the affected area of the body. It can be used anywhere on the back, legs, feet, neck, arms and shoulders. It also has hook and loop straps to hold the pads in place wherever you need heat therapy. 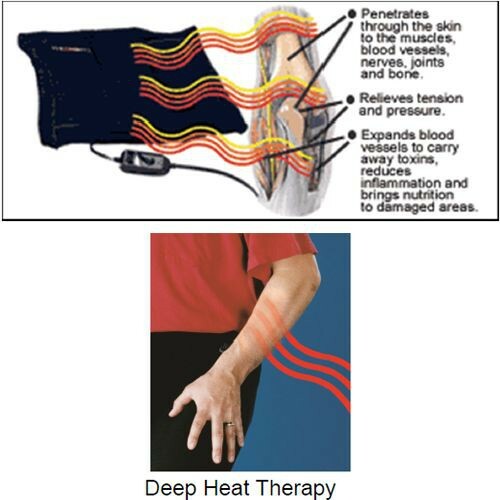 It eases pain and inflammation by using radiant heat which penetrates deep into the targeted area. This is better than hot gel packs or heated rice sacks because it sends waves of heat into the body rather than just putting heat on the surface of the skin. 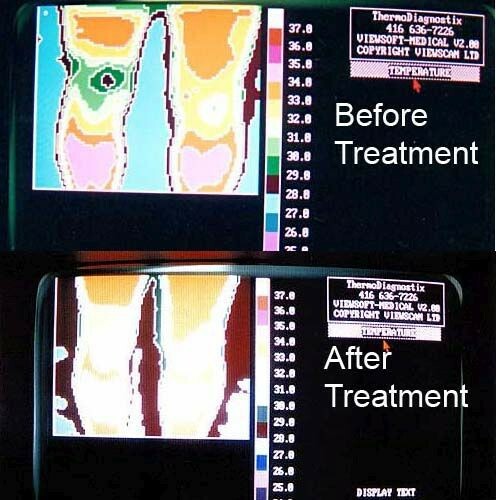 This then improves circulation and thereby reduces healing time from any injury by removing toxins and supplying nutrients. Back pain is caused primarily by strain or over exertion which creates tension in muscles and tissues around the spine. This results in restriction of circulation which can be treated with heat therapy and few systems work more effectively than radiant heat like that used in Thermotex pads. Getting an adequate support cushion for your back can help improve the effect of heat therapy when used in tandem or apart. Cervical pillows can help improve posture and back strength to eliminate strain on the spine and back muscles. This can make the effect of Thermotex more long lasting while helping to make you more alert and comfortable while sitting. Another option is using a continuous passive motion cushion like the Backtivator which provides a gentle destabilization to help gradually strengthen back muscles and posture to help prevent strain in the future. Can run off 110-120 volt or a 50 watt inverter in your car. 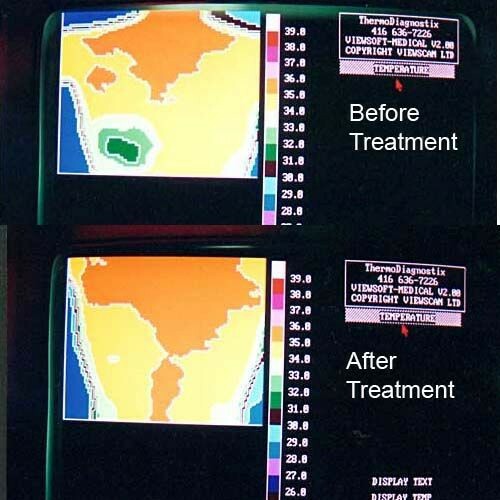 2 settings: High for short treatment and warmup, low once unit is warmed up.